Served as teamster, nurse, and blacksmith. 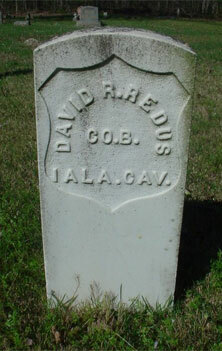 He was the brother of Washington J Redus and Thomas J Redus. He was also the brother-in-law of Henry Mahan. Picture submitted by Peggy Brooks Cannady.